One challenge our experts come across every day are homes with monolithic floors. Normally, a foundation is built in three pieces: the floor, the walls, and the foundation footing. Monolithic floors have just two pieces -- with the floor and footing created in one piece. The edges of these floors are extremely thick, making jackhammering a long, dusty process. The solution is our DryTrak® Drain System. This baseboard drain is permanently epoxied above the floor, with no jackhammering required. 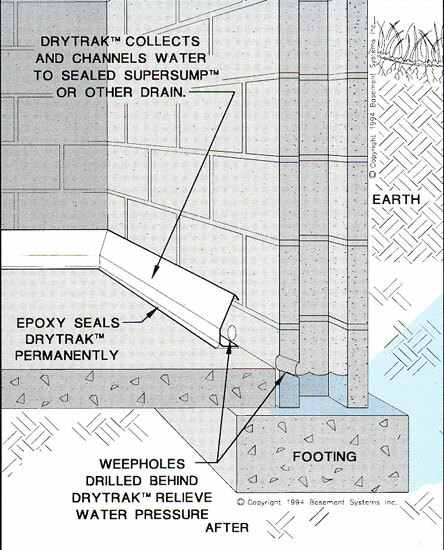 As an added benefit, the above-floor design of DryTrak® keeps it out of the "mud zone", where conventional drains have clogged for decades. No matter what challenges your basement presents, we have a customized drain pipe system that's perfect for you! Each of our systems installs quickly in your home and includes a written, transferable warranty. 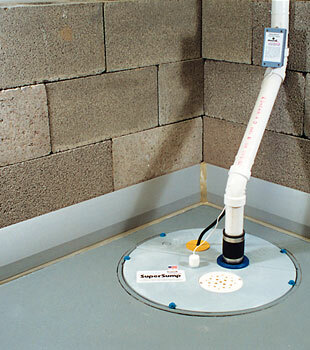 To schedule a free basement drain pipe installation quote, contact us by phone or e-mail today! Our Certified Dealers operate throughout Canada, the United States, and the United Kingdom. DryTrak® System is the option of choice for exceptionally thick concrete slab floors, and especially for waterproofing monolithic foundations. This system eliminates the need for jackhammering -- which cuts down on time, labor, and a lot of dust! 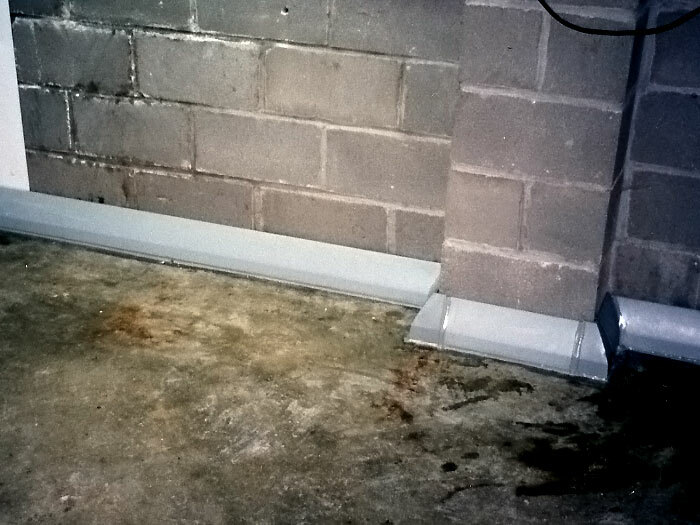 If your foundation walls have been designed with concrete blocks, you may have a second problem in your home. The open cavities in each block are susceptible to filling with water -- which will then seep through into your basement. We drain water from these cavities by drilling a "weep hole" into each block. The water pours through the hole and directly into the drain pipe. 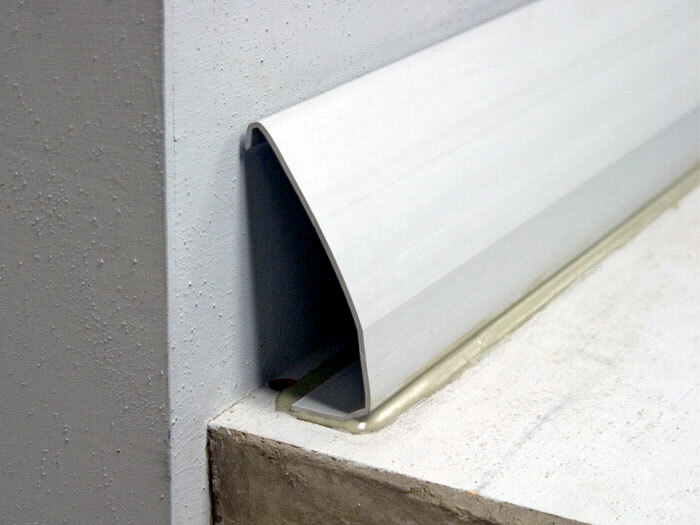 Each of our wall drainage systems can be tucked into our DryTrak® Baseboard Drain Pipe System, which then directs the water to your sump pump. 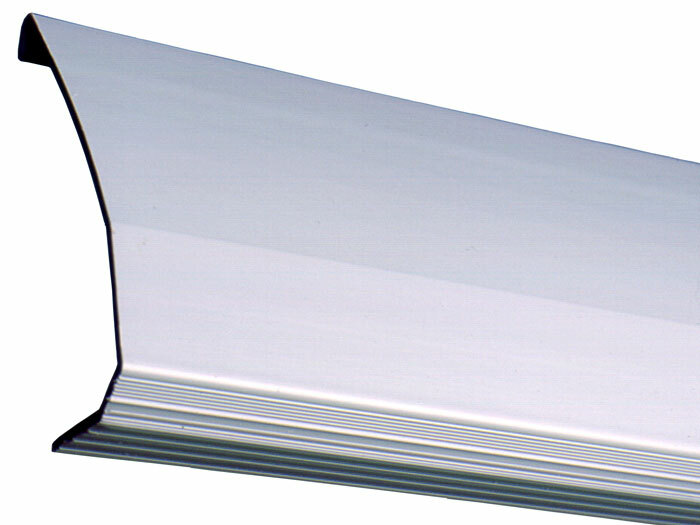 Our DryTrak® Baseboard Drain Pipe System provides a simple, common-sense solution for an otherwise messy and time-consuming problem. When all is said and done, a typically installation can be completed in one or two days. 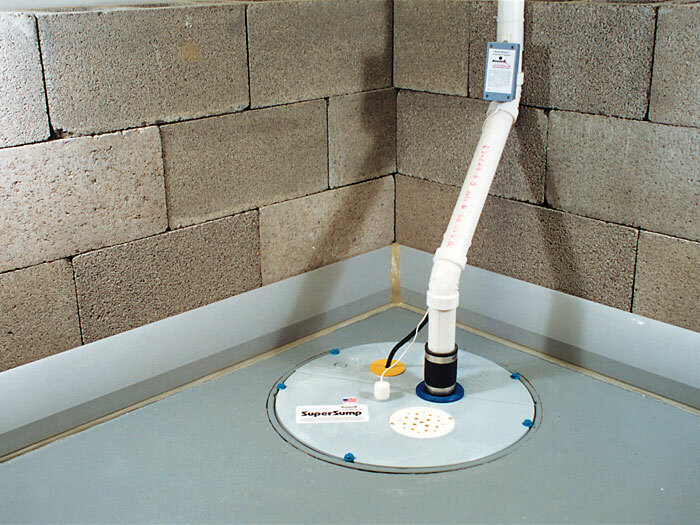 To learn more about our basement drain pipe systems and to receive a free basement waterproofing quote, contact us by phone or e-mail today! We'll connect you with your local dealer, who can provide a professional inspection and measurement, answer any questions you have, and create a customized, written cost quote for your home. We have local dealers operating in Canada, the United States, Ireland, and the United Kingdom -- including in your neighborhood!